Independence Day in South Sudan – what does the future hold for older people? 9th July marks the 3rd anniversary of the world’s newest nation: South Sudan, a country which is undergoing renewed conflict and the mass displacement of hundreds of thousands of people. Displaced people are already suffering food shortages: there are real fears that they could face starvation in the autumn, if things do not change. Donato Ochan, Director of the South Sudan Older People’s Organisation (SSOPO), tells us why it is important for the world to act before it is too late. Older people, more than anyone, understand why we should be marking the third anniversary of the independence of South Sudan (9 July). They have so many stories to tell about how difficult life was during the civil war and how much they lost. Independence was such a significant achievement, which is why we are all saying to the younger generation, ‘come on children, drop your guns and use your energies to develop your new country’. 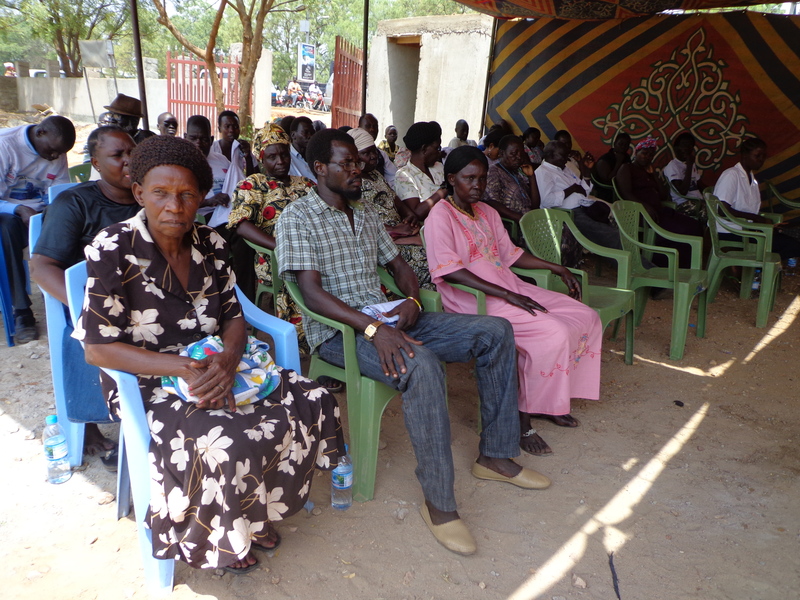 A group gather for Unjust Day in South Sudan. The conflict, which began in December between the forces of President Salva Kiir and troops loyal to former Vice President Riek Machar, took us by surprise. Nobody was prepared. As a result, many older people were abandoned when their families had to flee for their lives. There are now many older people in camps who are completely alone; having lost every single member of their families. They lost their homes; their belongings; everything. It’s very difficult for them to start rebuilding their lives now. 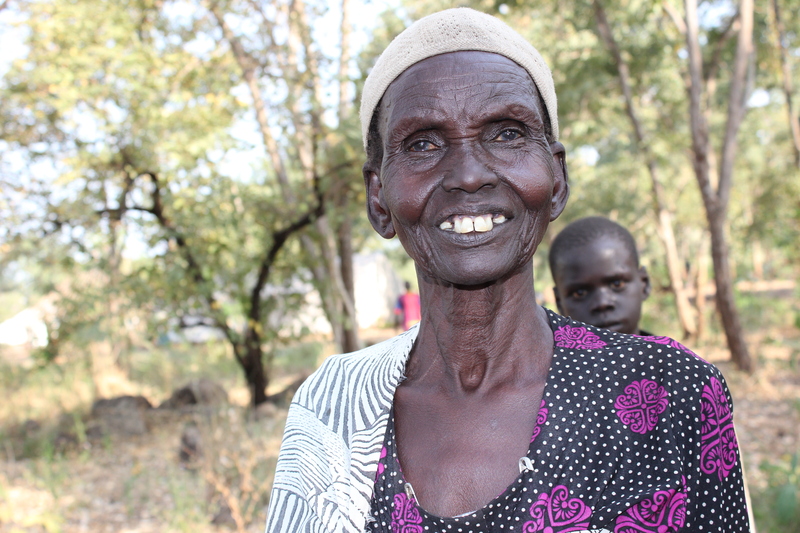 Family support is how older people get by in South Sudan so it’s a real struggle for them. 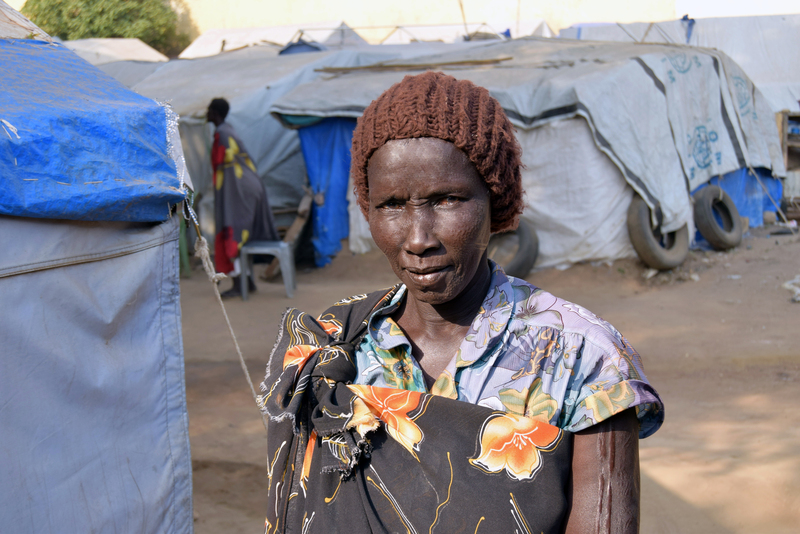 Angeline stands in a temporary shelter camp in Juba. When I visited the UN House Camp, home to over 14,000 displaced people, I met an older woman who is looking after three of her grandchildren as her daughter and her husband were killed in the violence. But she has nothing. She receives sorghum as food aid but she doesn’t have the strength to grind it and cannot afford to pay for someone to do it for her. Trauma is rife in the camp as most people lost at least one member of their family in the recent violence. So many lives were lost in such a short amount of time. Thankfully, all of my family members are intact but we are all bearing the grief of others. The next few months are critical to prevent a famine and Age International is supporting us to respond to this crisis. We know that older people’s needs are often overlooked in emergency responses, even though they are one of the most vulnerable groups. That’s why we are making sure that their needs are being taken into account. For example, it is important to provide age friendly food aid, such as maize flour, that doesn’t need grinding and is easy to eat. We are very experienced at working in emergencies as we worked to protect older people in the last war from 1983-2005. Help Age and Age International helped us to support thousands of people displaced by the crisis and we are very happy to have their support again. There is so much for us to do here and, funding permitting, we will be able to help as many people as possible in the areas of greatest need. As a nation, we also have a long way to go. All of our plans for the future, after independence, were cut off in their prime. We’ve had no time to develop as a nation and we have never been so divided. I do feel optimistic for the future, as long as the leaders begin to put the people first and I’m happy that the international community is putting pressure on them. But first, they have to keep their promise of a third ceasefire deal and to form a transitional government. On 9 May they promised to do this with 60 days but that date has now passed. I hope that the third anniversary celebrations will be peaceful and that one day, all South Sudanese – whether old or young, will have a prosperous and happy future together.